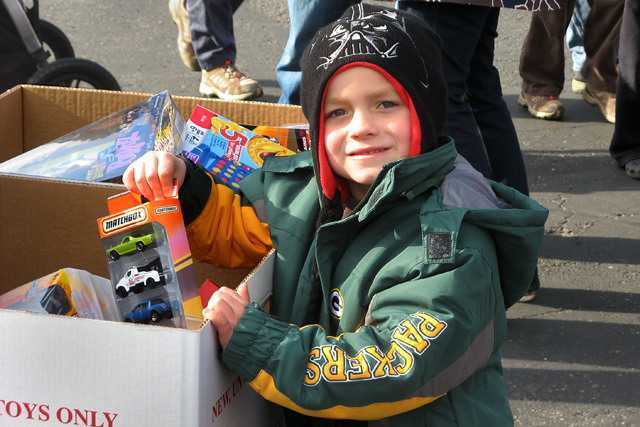 On Saturday, November 3, 2012, the Steam Locomotive Heritage Association ran a “Whistle Stop Santa Appearance” train from Milton to Middleton, Wisconsin, with stops in Edgerton, Stoughton, McFarland and Madison. 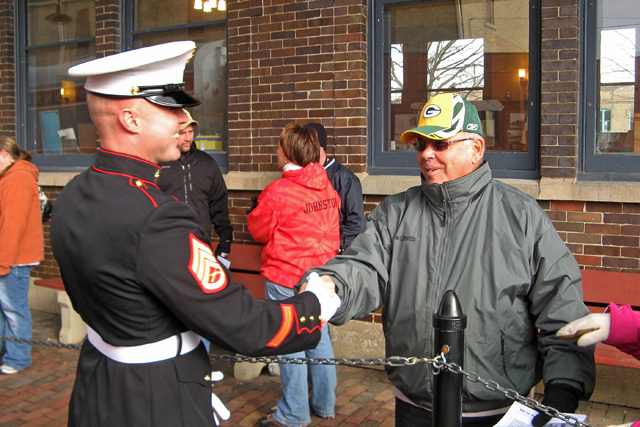 The trip was run in conjunction with Toys for Tots Organization, Marine Corps, University of Wisconsin Athletics and the Wisconsin & Southern Railroad. 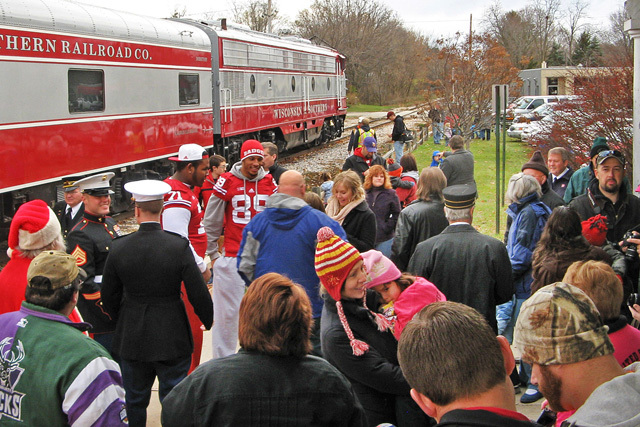 Joined by two United States Marines and four UW football players, volunteers collected a huge amount of gifts for the Toys for Tots program from the hundreds of people came out to see the train. We thank everyone who participated and enjoyed this event.